This is is the kind of thing that keeps me up at night. 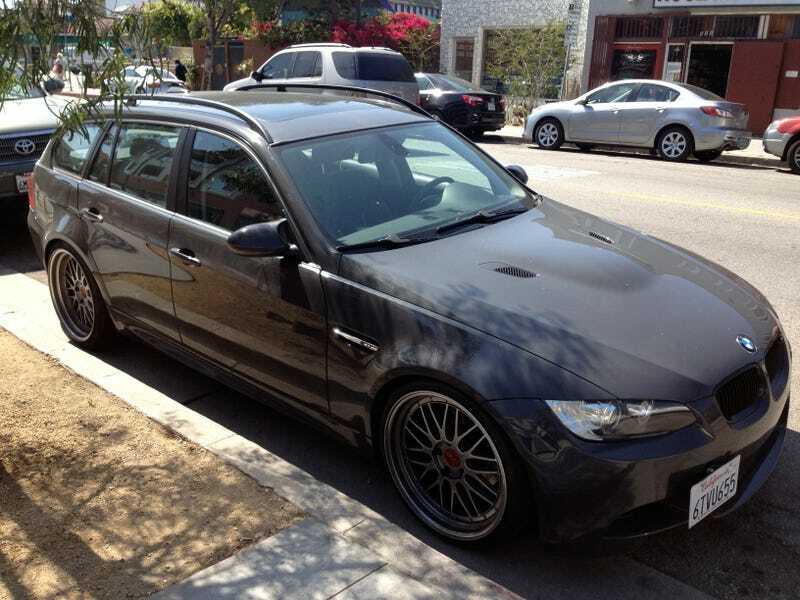 As a Jalopnik reader I'm sure you know that BMW never felt the need to make a fully hotted up wagon. That glaring hole in BMW's line is one of the reasons I drive an S4 avant but as much as I love my car, I would drop it in a heartbeat for what you see above. It's just so damn proper that it hurts. The E91 Touring wasn't much to look at in 328 and 335 guise but with those flared wheel arches, quad exhaust and swollen hood, goodness gracious me, I'm salivating. Granted, I don't know if this beautiful rig has it where it counts, but I'm guessing that one would not go through the trouble of making an E91 appear to be an M3 and not swap the engine as well. Owner, you are a great person for investing the time and money into this project. If you're reading this please get in touch, I need to shoot a piece with your car.